The first season of events at Walmer Yard will look at contemporary domesticity and how technology is changing our domestic behaviours. The home is a fundamental aspect of all our lives. It provides security, shelter, and a place for the everyday activities of life – eating, sleeping, socialising, working, relaxing – to take place. Our homes are tightly tied into our identities, being a place we can shape our environments. They act as a bridge between the private and the social. But what influence is modern technology having on this? Are we developing a new concept of domestic space? And how is it changing our domestic behaviour? At Walmer Yard we have a home that is like no other. A group of houses which eschew the impact of modern technologies and invite us to slow down and to contemplate. The first season of events, entitled Domesticity, will investigate how the way in which we live is changing through offering the chance to slow down and experience. 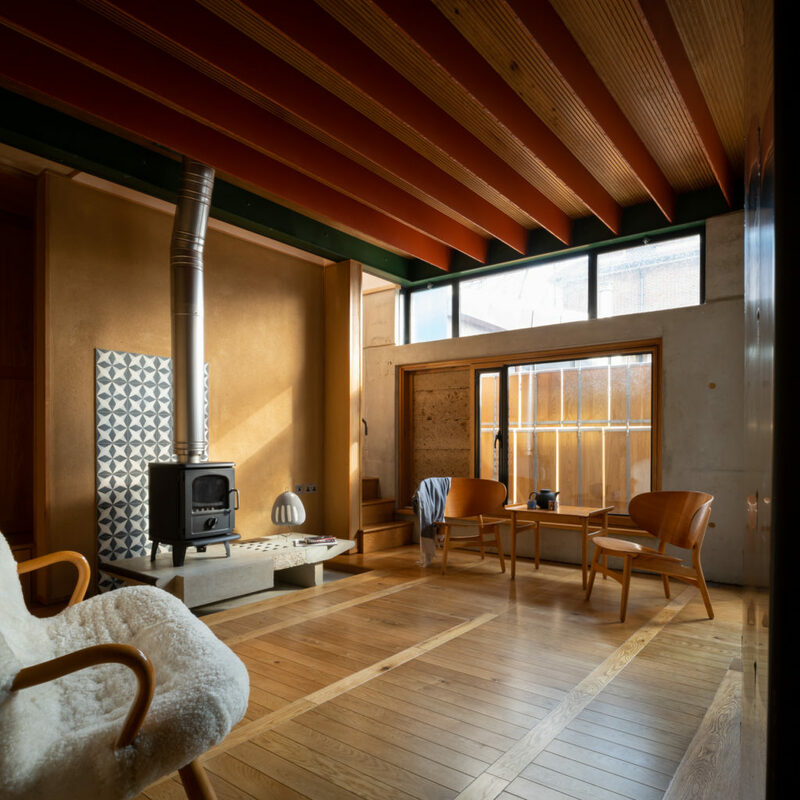 We will critique the established concept of home rather than reaffirming it and question what home means when technology is changing its very nature. The first in Walmer Yard and Natoora’s Supper Club series, this unique night will merge great food and quality produce in the architectural setting of Walmer Yard with conversations around domesticity and the home. 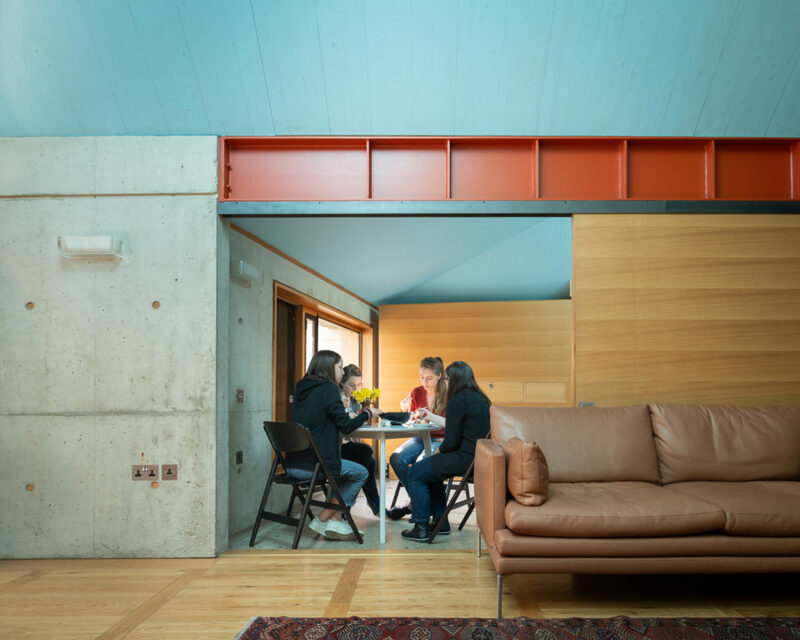 The first season of events at Walmer Yard takes a look at contemporary domesticity and how technology is changing our domestic behaviours. 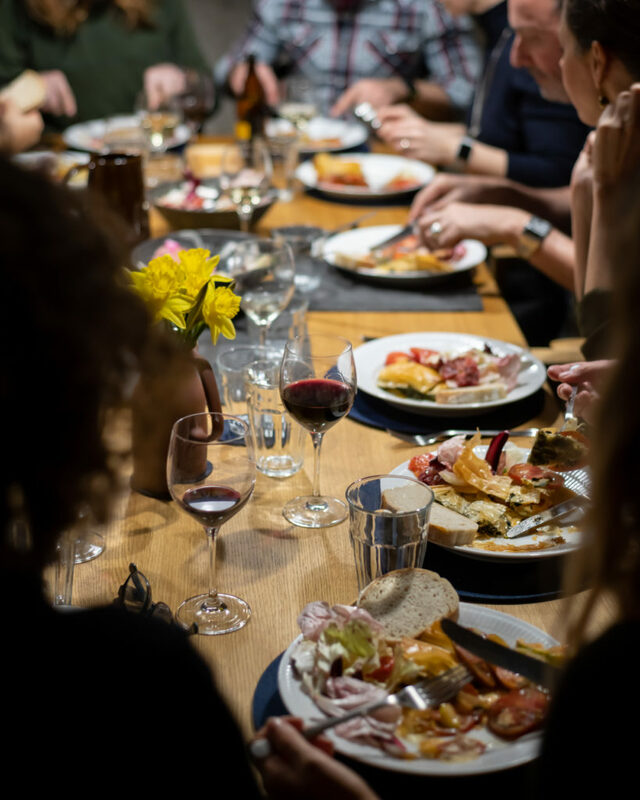 In a world where how we consume food is changing, where kitchens are becoming smaller, and we turn to apps like Deliveroo and UberEats for our food, this slow dinner will open up conversations about the future of how we eat in the home. Natoora’s selection of produce will explore the seasonality of the food we eat as their growers guide guests through the intensity of end of season winter produce to the delicate flavours of new spring growth with a five course meal that captures the incredible flavour combinations that a slower approach to seasonality brings. Named an assemblage to reflect the gathering of many different speakers, participants and formats taking place during the day, this event will launch the public programme at Walmer Yard and will take the form of a series of encounters and events held across the homes and centred around the theme of Domesticity. Following a key note presentation in Walmer Yard’s ‘coats-on lecture theatre’ by Shumi Bose, a series of workshops, smaller talks and film screenings will take place across the four houses, tackling the juxtaposition of the absence of technology in Walmer Yard with the current increasing presence of technology in our domestic environments. Guests will be encouraged to explore the homes throughout the afternoon while the interventions happen in tandem across the spaces. In the living room, the Feminist Internet will host a workshop exploring the gender stereotypes created by personal intelligent assistants like Siri, Alexa and Cortana and the implications this has on the design of our homes and domesticity. Across the bedrooms Gonzalo Herrero Delicado, architecture curator at the Royal Academy of Arts, will host a series of conversations addressing the use of technology in the home. These will also explore the means in which we communicate with those who we live or share our domestic spaces with. From the bed Gonzalo will conduct conversations with speakers not just in the same room but also located in New York and Spain. Those joining Gonzalo ‘in bed’ include architecture practice Space Popular, curator of the Design Museum’s latest show Home Futures Eszter Steierhoffer, and artists Fru*Fru. In the kitchen Bompas and Parr will lead an exciting workshop reimagining the future of the napkin. 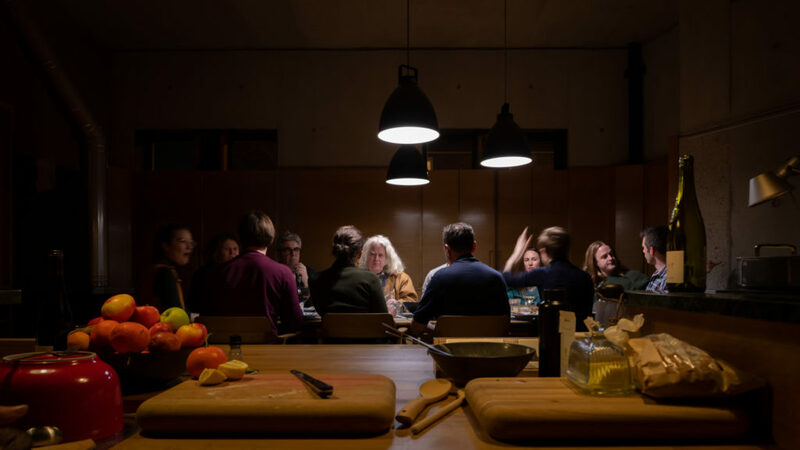 Conversations around the dinner tables will discuss how we use our kitchens, what the meaning of home means to those who have been displaced, houses as a place of work, and the changing nature of the private, social and romantic spaces of the home. While in the media room showings of Ila Beka and Louise Lemoine’s Koolhaas Houselife will explore the daily life of the housekeeper and those responsible for looking after Maison à Bordeaux, designed by OMA in 1998. The day will conclude with a panel discussion and a drinks reception to celebrate the launch of the Baylight Foundation at Walmer Yard. His chosen text, The Grand Domestic Revolution by Dolores Hayden, looks at the history of feminist designs for American homes, neighbourhoods and cities. The eponymous 1982 publication, looks at the work of a group of American feminists including Melusina Fay Peirce, Mary Livermore, and Charlotte Perkins Gilman, who campaigned against women’s isolation in the home and confinement to domestic life as the basic cause of their unequal position in society. In looking at this group’s plans to transform American neighbourhoods through communal kitchens, housewives’ co-operatives and new building types, Hayden brings to light the economic and spatial contradictions which outdated forms of housing and inadequate community services create for women and for their families.